Pame volta? Wanna go for a walk? Time to walk the … animals, originally uploaded by greek58. There are 1001 reasons I love Athens, this is but one of them. My Athena, a city where nothing is impossible. 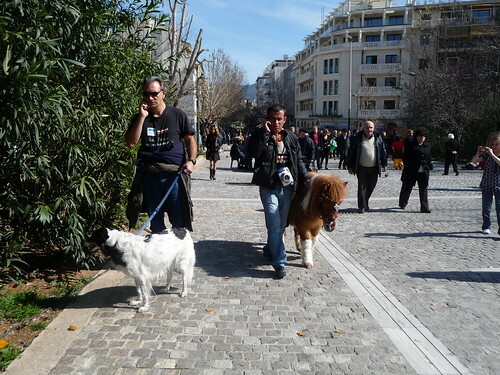 ……and the greek addiction to mobiles….